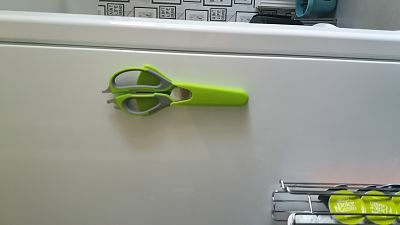 I bought these Professional Kitchen Scissors Cooking Scissors as i needed some desent kitchen scissors for cooking , i was actually quite suprised as they do so much more than i was expect and the come with a handy magnetic plastic pouch , so they are stuck to the side of my fridge instead of a draw , where they always disappear , no more hunting for scissors , they are always on hand . 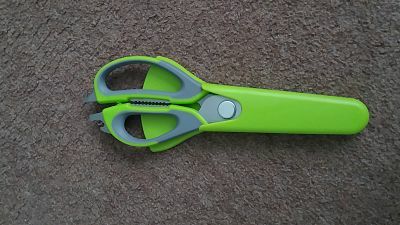 these scissors are so easy to clean aswell as you can take them apart and so easy to put back together as they just clip back in place . 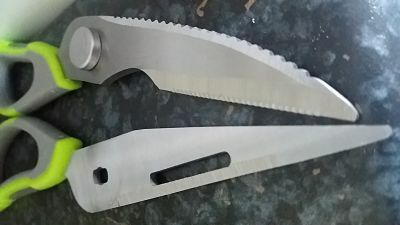 I wasnt expecting them to be so well built to be honest but they look and feel like they will last years , the fact they can do so much more than just cut is brilliant , i dont need so many different items in my draw now , as they are also a nutcracker , bottle opener, veg peeler and a screw driver. 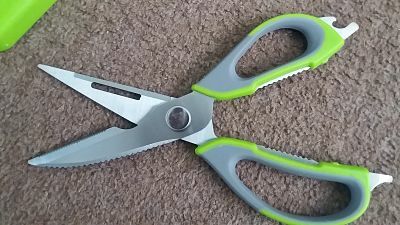 they feel really nice to hold a nice silicone grip inside the handles. 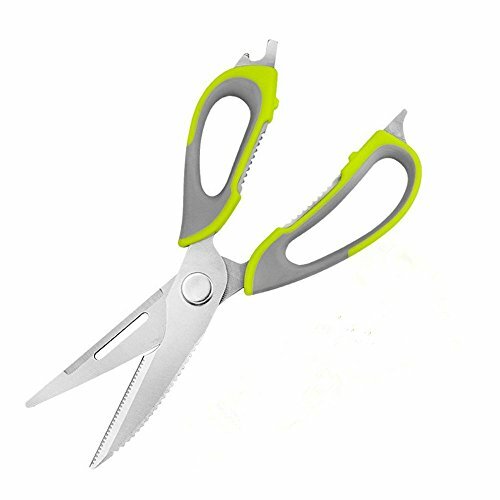 A perfect buy for anyone ! !